I’d almost forgotten the entertainment that one gets from talent shows on TV. I’ve been meaning to write this since Comedy Central debuted on DSTV Channel 122 to plead with our comedians to strive to be on top of their game before the besiegement of the channel begins. It’s well within reason to expect that very soon Nigerian comedians will be on Comedy Central even if only watched by viewers from the continent. How to prevent our predilection for ‘Mo gbo, Mo ya’ which in transliteration means: ‘I heard, I came’ or ‘branched’. That’s essentially the same thing as jumping on the bandwagon just because it’s supposedly “reigning” or trending just like in Fela’s ‘Follow-follow’. However, my focus was somewhat broadened after I saw the award-winning comedian AY-Ayo Makun on Comedy Club Live in Lagos about two weeks ago on the MNET channel. 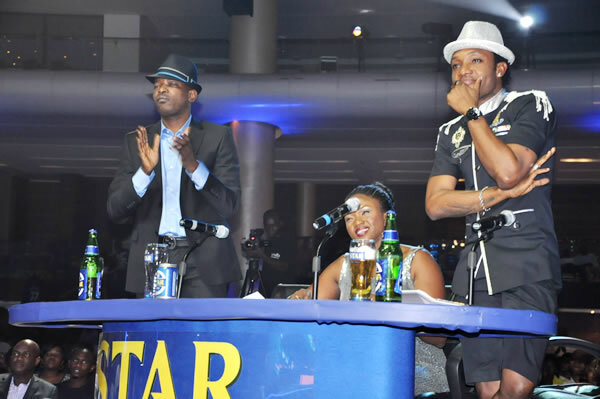 The show usually features two comedians, one well-known and the other upcoming, AY was obviously the star while Funnybon must have fitted the upcoming bill. Having followed AY on TV and AY Show (via VCDs), I was expecting to have a hilarious time. But Mr Makun didn’t deliver. Needless to say, it’s been difficult to laugh with Nigeria’s big boys of comedy on the Comedy Club series. Funny aside, there’s the critical issue of telling relevant jokes to suit the environment. Why would AY begin a show before a mostly non-Nigerian audience with, “Everybody say, un hun, un hun?” Nigerians know that’s his Pastor Chris Okotie shtick. But what’s that before a Ugandan audience? And what’s with dissing Nigeria outside of Nigeria especially to non-Nigerians? Our reputation is bad enough as it is. We’ve been talking about Star Quest for a few weeks now and feel as if we are familiar with happenings on what’s Nigeria’s only band-based talent show. Nothing beats watching the show on TV. Underscoring this fact, Obabiyi Fagade, brand manager, Star, said: “The idea behind bringing Star Quest to the screen is to bring the Star Quest excitement home to people.” This would also help in, “Engaging followers as well as sustaining the excitement” around the competition. That engagement started March 31st. I’d almost forgotten the entertainment that one gets from talent shows on TV. You’re at least sure of comedy from contestants, real and unintended. For the most part, I was awed by the sheer courage of some wannabe stars. I know the 2012 Star Quest slogan is ‘Dare Yourself on Stage’ and it’s like some took this too literally. ‘Can’t sing to save their lives’ hovered over them like a smelly cloak but as the pidgin saying goes: ‘Dem no wan know’. Now, that could be commendable. Nonetheless, the Star Quest auditions are not all about people with musical delusions. Right after giving the judges: Paul Play Dairo, Waje and KC a hand for sitting through it all, we must be happy for the truly talented. 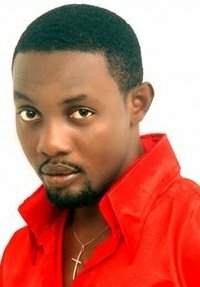 On the Tuesday 3 April show, the contestant wearing tag LA 331(rapper Romeo Ugwudike) impressed the most. KC and Paul Play were quick to go hug him on stage. I’m no rap fan but Romeo was effortlessly impressive. With the performances slated for April 6 by the six bands formed from the chosen 36 in the Star Fameland, real business has begun. “I’m da bomb, my father is a terrorist.” (Romeo). Perhaps, the funniest would have to be these lyrics: “I was asleep and I heard my friend say this is star quest…’ which reminded me of a Klint da Drunk joke on how reggae musicians write songs: ‘I woke up one morning, I was going along the road …, I hit my leg on a stone’ to which the I-Threes (á la Bob Marley) would chorus ‘stone, stone, stone’. . Almost every GSM company running the Blackberry service has had its fair share of complaints. So, let’s agree that none is perfect. However, I’m amazed at the sheer indifference shown by MTN to a customer’s plight. I first got on MTN’s BBC (1,500) plan around the third week of February 2012. That didn’t work. I was bothered enough that I subscribed the next day to another provider. After a month, I thought it wise to re-subscribe to MTN’s higher and presumably better plan (N3, 000). But as I write, I can’t access Twitter, etc. Not even the blackberry messaging works. I’m told I’m on a plan that doesn’t allow that. It isn’t the magnitude of the problem but the fact that I spent two days at the Efab Mall (Area 11, Abuja, FCT) MTN Centre trying to resolve this problem to no avail. And the fact that everyone, even the advertised expert would happily tell me: ‘It’s network’. This is a warning to anyone planning to visit Wuse Market Abuja anytime soon. On Sunday 1 April (no April fool), some boys in the market wanted to strip a young lady who dared to wear a long-sleeved but short clinging dress made from some jersey-like material. Before confusion broke out, I’d seen the girl and noticed how ‘barrow’ boys gathered to ogle, lost in lust. It took the intervention of a Good Samaritan female trader who gave the girl a wrapper and eventually a policeman who was called in to lead her away still tying the wrapper-while a quickly ballooned mob followed. Yes, the dress left little to the imagination but who’s running the ‘anti-mini skirt army’ in Wuse Market? The FCT minister needs to look into this matter. The next time someone, an important perhaps ‘international someone’, may end up dead. Awesome write-up as usual my sister. More ink to your pen.